Piedmont Dent Repair is offering new convenience in Lancaster SC. The process of traditional bodywork is commonly carried out in a garage setting under very controlled conditions. The reason for this is that body panels often need to be removed, and the paint often needs to be refinished. This is a process that can take days just to fix hail damage repairs and more. If you have been inconvenienced by a small dent on your vehicle, there is no reason to bring it right into the closest autobody shop. Search for mobile dent repair near me in Lancaster SC and it’s likely you will discover Piedmont Dent Repair. We are a company that’s interested in bringing more convenience to our customers through mobile dent repair services. We can come to you and provide you with an instant quote on the cost of your dent repair. We use mobile dent repair solutions to make sure that you don’t have to go without your car for too long and that you can retain the value of your vehicle as well. Our mobile services are also made very affordable to you, because you likely will not have to go through insurance, which is likely to increase your premiums. Paintless dent removal services are some of the most advanced forms of dent repair available today. This type of mobile dent repair can use your car’s original finish to make sure that there is no need to remove body panels or complete more than touch-up paint and blending. Any type of small dent doesn’t require extensive bodywork to fix, and paintless dent removal can be the correct solution for fixing up these types of dents quickly. Contact our service technicians at Piedmont Dent Repair today and we can schedule an appointment for your quote. We want to make sure you get a great price on the cost of paintless dent repairs or mobile dent removal. 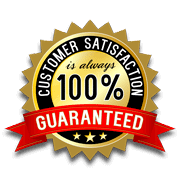 Keep in mind that all of our work is backed by a satisfaction guarantee. Your dent will be removed or your money back!